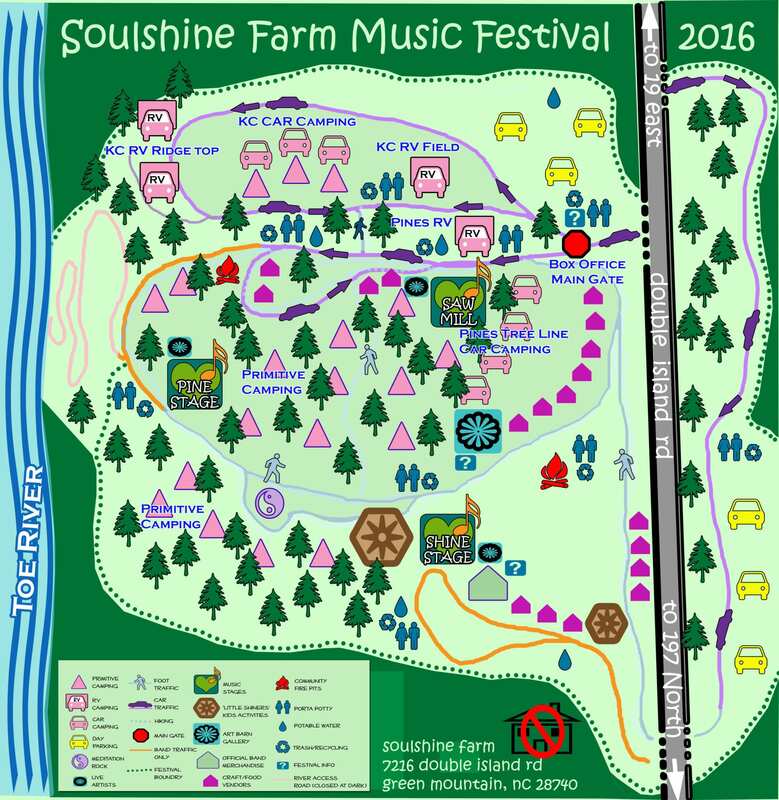 The Soulshine Farm Music Festival starts tomorrow, Thursday, August 10th, for three glorious days at Soulshine Farm in Green Mountain, an hour north of Asheville. 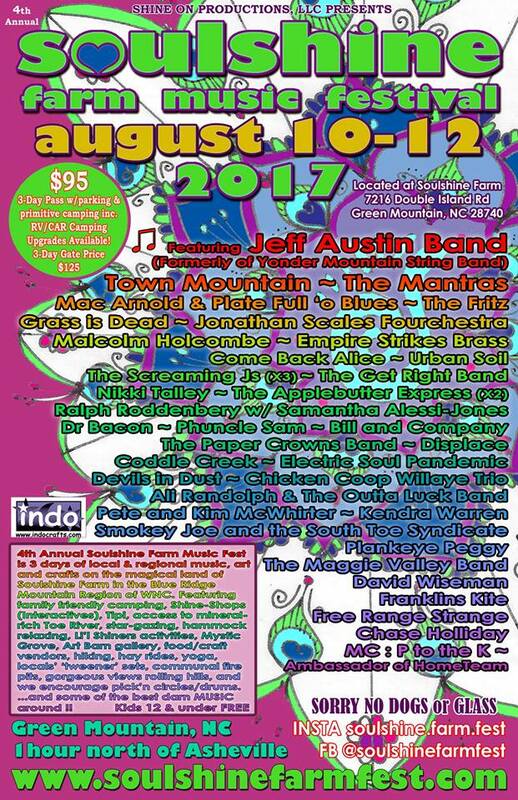 This wonderful fest, in its fourth year, brings together a great collection of North Carolina’s finest musical talent as well as artists from out of the area, including a number of Florida’s finest bands. Let’s take a quick last-minute look at the schedule. You only have to deal with two stages, so you won’t miss a note… today. Raleigh’s Urban Soil brings their special brand of roots rock to the party, and The Screaming Js will boogie late into the evening. 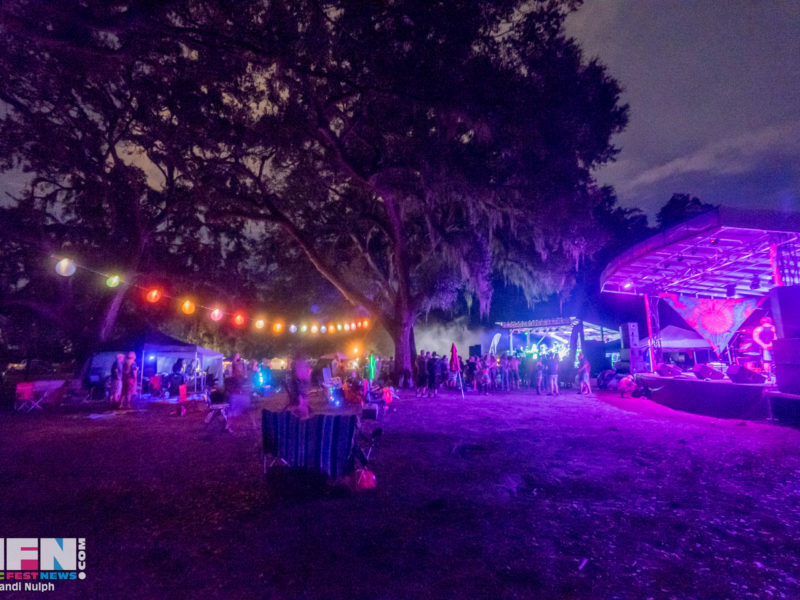 One of Florida’s most incredible exports is Come Back Alice, who will also play their swamp funk Saturday. 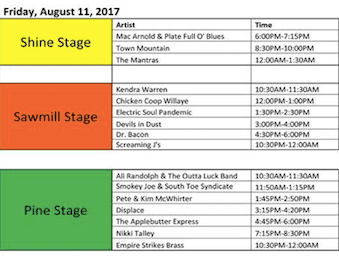 Much more is on tap, including The Get Right Band and Malcolm Holcombe. Now all three stages — the Shine, Sawmill, and Pine — will be operational. Time to pick and choose, because the menu is loaded. Some of the region’s very best will be on display, including The Mantras, Empire Strikes Brass, and Electric Soul Pandemic. Dr. Bacon takes funk to some other planet, while Nikki Talley and Jason Sharp stay firmly rooted in beautiful folk music. The Applebutter Express, the bluegrass quartet from Florida with a penchant for entertaining lyrics, will be there, along with Sunshine State funksters Displace. 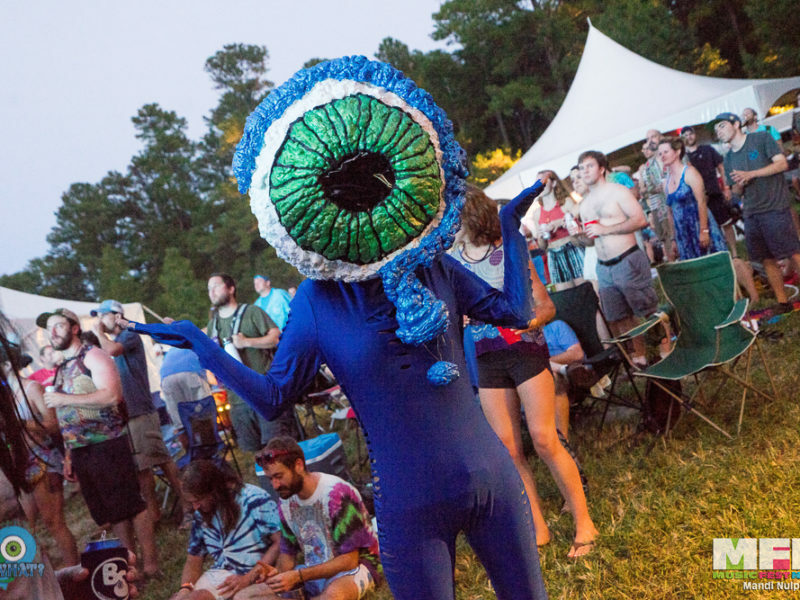 The Screaming Js are back for more, and Town Mountain will also delight. 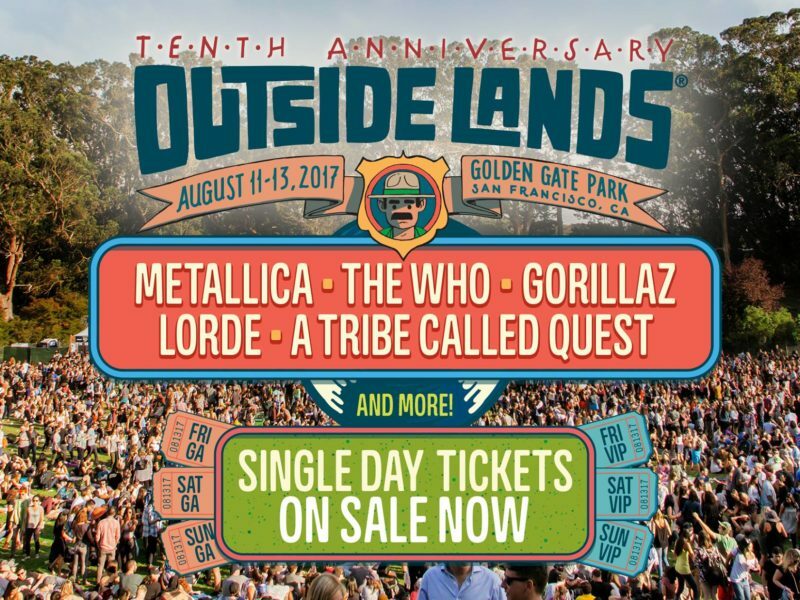 And that’s not half the schedule! 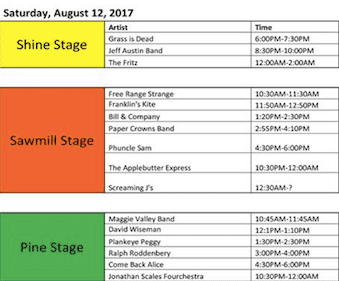 Another big day is on tap, headlined by the Jeff Austin Band from Illinois. More amazing music heads your way courtesy of The Fritz, about to bust out a brand new album, and Johnathan Scales Fourchestra. 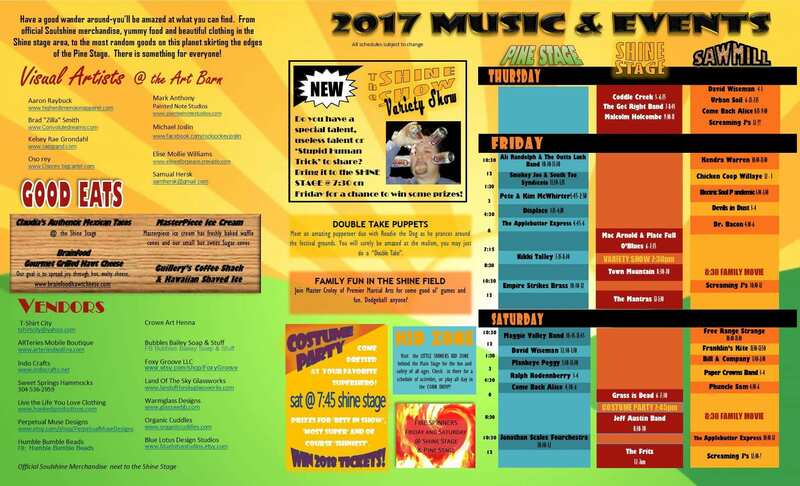 Ralph Roddenbery invades from Georgia, and Phuncle Sam and Paper Crowns Band will also perform. Florida gets a quadruple hit, with Come Back Alice and The Applebutter Express playing again, joined by fine music from Grass is Dead and lovely weirdness from… Free Range Strange. Throw in Plankeye Peggy, Maggie Valley Band, Franklin’s Kite, more Screaming Js, and even more Carolina music, and you’ve got yourself one wonderful weekend.